The administrative team is in the process of building the 2019-2020 District calendar and your input is needed. 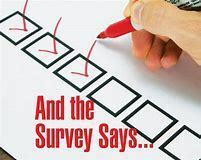 The following link, 2019-2020 District Calendar Survey will take you to a five question survey asking your opinion on parent-teacher conferences and Thanksgiving break. If you have other thoughts, ideas or concerns about the 2019-2020 please contact the school office at 402.482.5233.